BIOS IT, a partner of Super Micro Computer, Inc. (NASDAQ: SMCI), is proud to announce the availability of the next generation of Hyper-Speed Solutions, designed to deliver ultra-fast high performance for high frequency trading and other mission critical environments. Now in its third generation, the Hyper-Speed range has been upgraded and accelerated by using ‘Ivy Bridge’ processors and system firmware optimisations that lower median latency by 15% and reduce jitter by 94%. Based on Hyper-Speed technology, BIOS IT and Supermicro are able to enhance the highest performance Intel® Xeon® E5-2600 V2 series processors (up to 150W TDP) in order to achieve application performance improvements of up to 30%. Hyper-Speed solutions are available in Tower, 4U and 2U rack-mount configurations to benefit and assist a variety of different workloads, tasks and applications. The Hyper-Speed 6027AX-72RF workstation and TRF-HFT3 servers speed up trading by 15% and lower jitter – a jumpy movement or instability in computer systems – by 94%. The launch of the new Hyper-Speed range comes at a time when High Frequency Trading is set to increase by over 20% by the end of 2013. 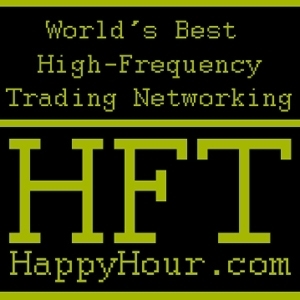 According to TAAB, HFT now accounts for over 40% of the global currency trading. This entry was posted in Foreign Exchange, High Frequency Trading, high-frequency journalism, Insider Trading, Treasury and tagged business, high-frequency trading, intel, Ivy Bridge, London, Nasdaq, New York, Supermicro. Bookmark the permalink.